See the following pages for pictures of the wedding and surrounding activities. 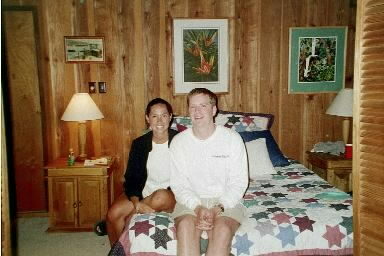 Sean and Caver were married on June 9, 2000 in Maui, Hawaii. They were married on the beach on the Northern part of the island - in Paia/Kuau. Seventy people from the mainland attended. Along with others, many college friends and family were there. The attendants were the Groom's brother Randy, Best Man, and the Bride's sister Janice, Maid of Honor.